This article is part of our special report Baku 2015 European Games. 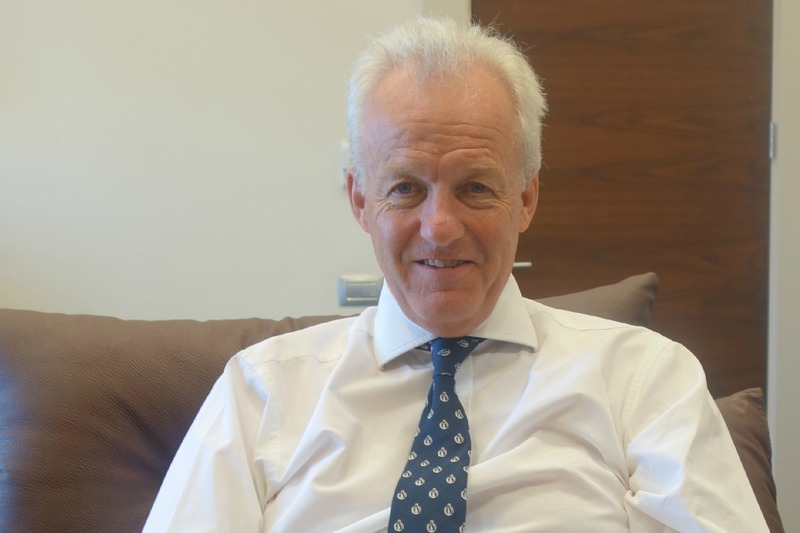 Simon Clegg CBE is the Chief Operating Officer, Baku 2015 European Games Operations Committee. He has been a previous Chief Executive of the British Olympic Association, English Championship Football Team Ipswich Town and the 1995 European Youth Olympic Festival Organising Committee. What’s the most unusual thing about the Baku 2015 European Games? We know that they are the first of their kind, that they are like Olympic Games, on a European scale. As an experienced sports leader, what was your main challenge? Normally, Olympic Games are prepared in a timespan of seven years. What we have had to do is compress seven years’ worth of work into just 30 months. Baku was awarded the games in December 2012. To the opening on 12 June there (were) exactly 30 months. A lot of venues have been handed over to us, and we were or will be their first users. The Olympic stadium has only had one event until now, and that was our event, a test event for 50,000 people. So the first time, it will have more than 50,000 people, who will be for there for the Baku European Games inauguration ceremony. So the opening ceremony will also be the Olympic stadium’s inauguration? Indeed. But it’s the same with the Aquatic Centre. Those facilities have been handed over to us quite late in the day, but that was understandable. When we look at the temporary venues, for 3×3 basketball, beach soccer, beach volleyball, you can’t build those facilities in the middle of the winter. You need good weather, and that’s why the venues are still in preparation for the arrival of the athletes. So how you handled this accelerated the process of preparing these Olympic-type games? This requires people to be very light on their feet. We had to accelerate the normal decision-making process. For the usual Olympic Games, you have much more time for mature reflection on the decisions that you are making. The other thing is that these are new types of games. So there’s no file to take from the shelf to see how they did it last time. It has been a very exciting, a very dynamic and demanding project. It looks like everything will be ready on time. We still have a few days until 12 June, and we need each one of them to make sure that we are ready. But I’m confident that we are in a good position. What are the innovations the European Games are bringing about? We’ve got 4 non-Olympic sports, and 16 Olympic sports. We’ve got 3×3 basketball, which is what the kids in the streets are playing these days. We’ve got beach soccer, we’ve got sambo, and we’ve got karate. So we try to do things slightly differently to the Olympic Games. We’ve also got blind judo as a totally integrated part of the sports program. No difference between blind judo and sighted judo. Obviously, they are not competing against each other, but they are totally integrated, with exactly the same medals, the medals who count on the medal table in exactly the same way. How many athletes are coming? How many staff members are involved in the preparations? 5898 athletes are coming from the 50 participating countries of Europe. On the staff, we are 2020 full members, including 440 expats and 1580 Azeris. So it’s a very rich mixture, and the reason why this was necessary, why there are so many expats, in senior positions, is twofold. First this event’s preparation was condensed in just 30 months, and secondly, Azerbaijan doesn’t have a big history of organising major international multi-sports events of this scale. Therefore, we brought in a significant number of expats. Part of the responsibilities of the expats is to hand over knowledge and train the Azeris. So that when Azerbaijan hosts Formula 1 next year, the Islamic Solidarity Games in 2017, Euro 2020 football matches, Azeris will be much more capable of filling the senior management positions. And I should say that from the 440 expats we have, they are from 43 different nationalities. So it’s a really global team here. How was the recruitment made? Are those people the same who travel from one big sports games to another? Yes, quite a few. And we needed that level of competence and expertise to be able to develop assistance very quickly. So we have 234 people who were involved in the London Olympic Games in 2012 in some capacity, we have people from the Winter Olympics in Sochi in 2014, and we have a number of people from the Glasgow Commonwealth Games from last year. Has the cost of the preparations ever been an issue? Did you face budget limitations? Of course. The price of oil in the last year from $120 dollars a barrel fell down to $50 at one point a few months ago, now it’s $65-68 a barrel. There was also the devaluation of the manat [the national currency of Azerbaijan]. These were important factors in our thinking, when we had the normal ongoing process of evaluating what we should do and what we shouldn’t do. Every organising committee goes through this exercise. You have a lot of very dynamic people in the organising committee who want to do more and more and more. And there needs to be a degree of rationalisation. Do you think that over time, Azerbaijan will be rewarded for the investment it made in the games? Absolutely. This is a fantastic promotion opportunity for Azerbaijan. This is a country that perhaps not many people know very much about, not least because it’s only 23 years old [Azerbaijan has been independent also previously, but it declared independence from the former Soviet Union in August 1991]. And the progress it has made in only 23 years is unbelievable. You have to factor that into account, you have to factor that the whole world, and certainly the whole of the sporting world will be watching Azerbaijan in June this year. Not only have we successfully sold television rights to the whole of Europe, but we sold television rights to North America and Canada. On Saturday, I announced that 17 countries in South America will have access to the games. We sold rights to the Middle East and North Africa. 447 million households in China will be watching the Baku Games in China through CCTV, 56 million households in Japan, 30 million households in India. So for these people to see this young, dynamic and beautiful country, that’s an unbelievable return on investment. They knew it, and that’s why they did it? I don’t think that in our wildest dreams, we could have thought we could sell television rights to China. Certainly, we expected to sell television rights to Europe. We have eight top level sponsors now, and a television audience in excess of a billion around the whole world. How important is the role of the sponsors? It’s very important. Again, these are inaugural games, so there was no track record and they were not sure what they were buying into. Not only the cash that they have paid for the marketing rights is important, but so is the marketing budget they are putting behind the promotion of the brand. The fact that we have been able to attract local companies, you could have expected this, in a country like Azerbaijan. SOCAR, Nar Mobile, Azerbaijan Airlines and Kapital Bank, but (also) internationally – Coca Cola, Procter & Gamble, Swiss Timing and BP – these are incredibly strong and powerful brands. The marketing and promotional spending they are putting behind this event is allowing us to establish a brand that has got real commercial value going forward. How big is their contribution? We could not running these games and promoting these games without the level of support we are getting from them. We are leaving a lot of legacy elements for this country to go forward.